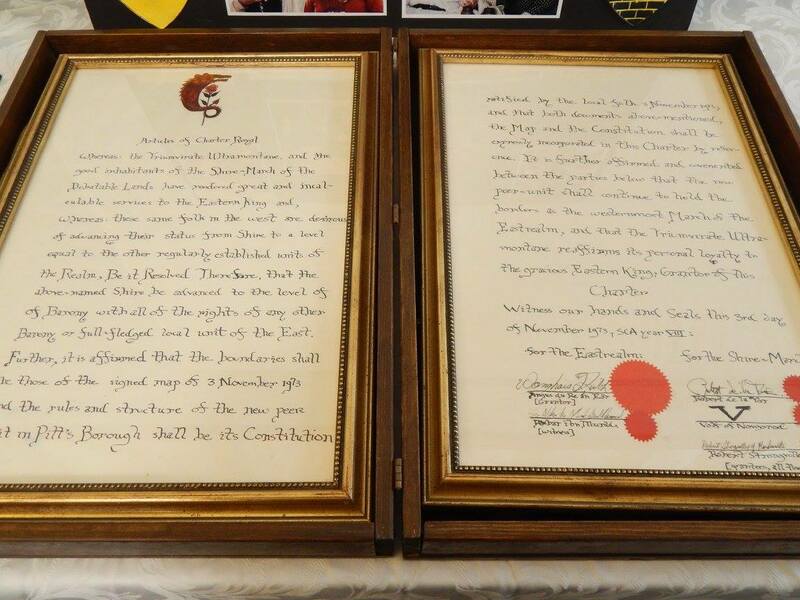 The following photos are of a display of Baronial history that was assembled for the Investiture of Brandubh and Hilderun in A.S. 50. 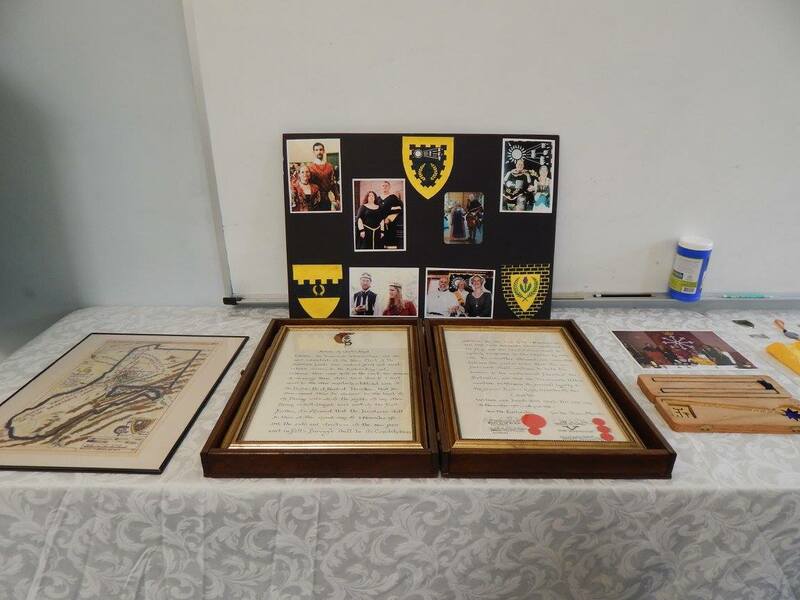 This is the main part of the display, with lineage photos, original Baronial map, original Baronial Charter, and Seneschal Key. 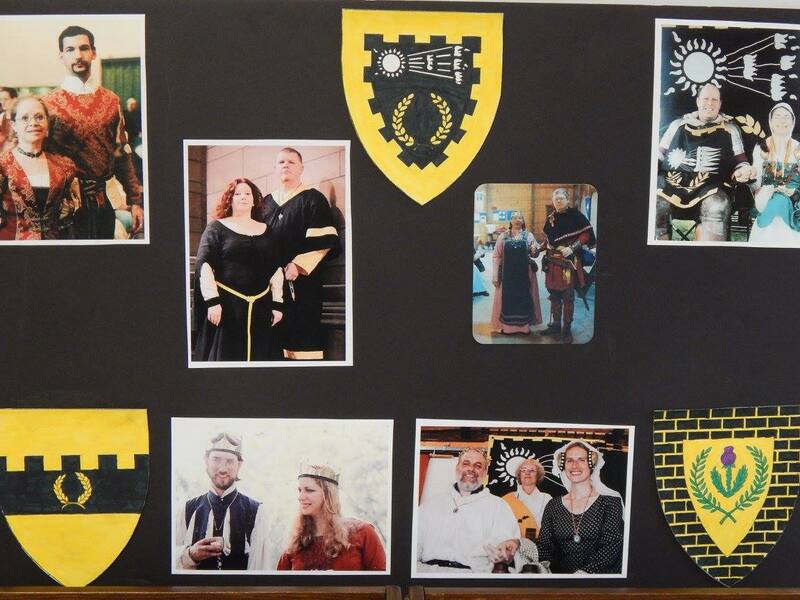 These photos show the previous Barons and Baronesses of the Debatable Lands, and the arms of the Barony and its two sub-groups. From left to right, in the top row: Alonzio and Tatyana, Liam and Constance, Leonard and Anna, and Tofi and Genevieve. In the bottom row: Langdon and Ardis, and Byron and Ariella. The Baronial arms are in the top center. In the bottom left are the arms of the Canton of Steltonwald. In the bottom right are the arms of the College of Cour d'Or. 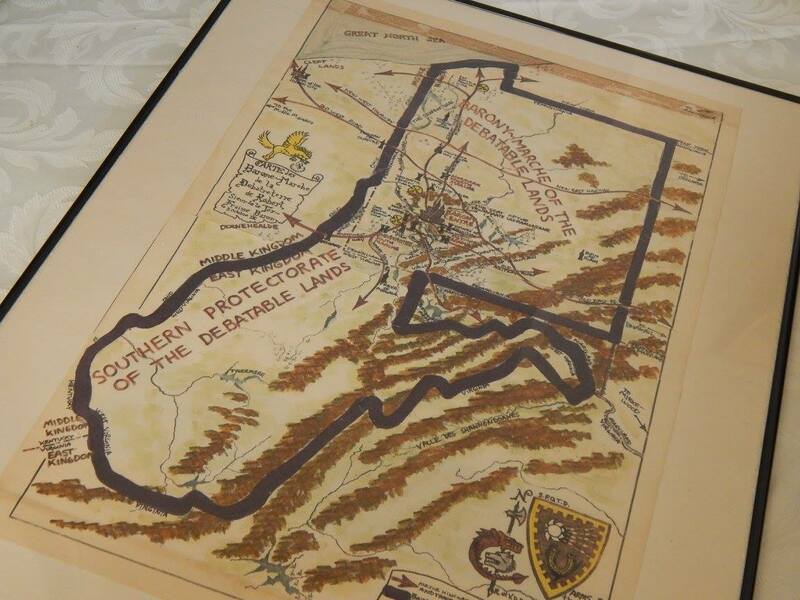 The original map of the extent of the Barony at the time of the Charter. 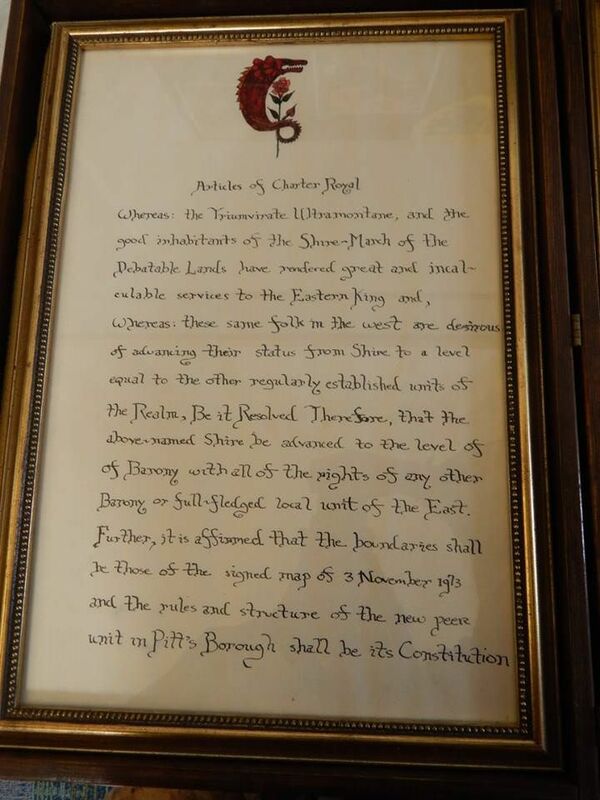 the Original Royal Charter of the Barony marche of the Debatable Lands. The first page of the charter. 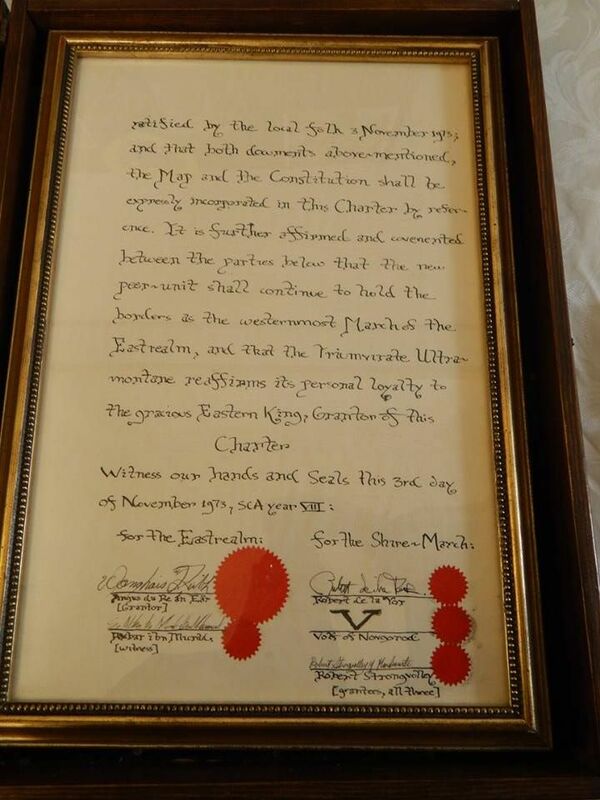 The second page of the charter. 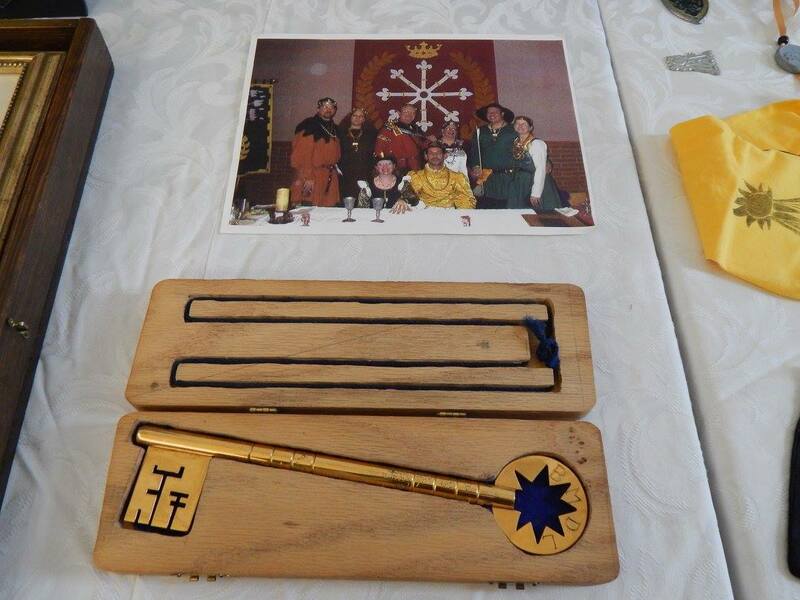 An older photo of the Baronial lineage, and the ancestral Seneschal's key of the Barony. 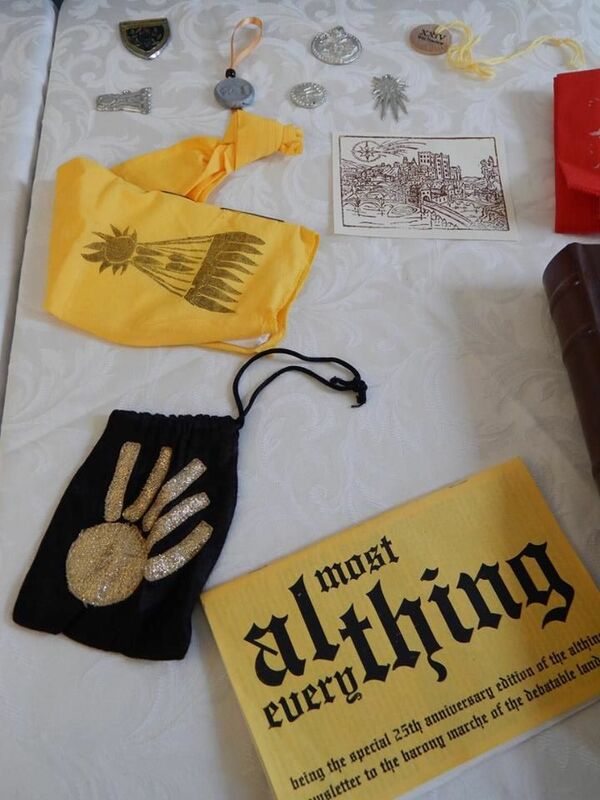 Some Baronial tokens and favors, plus an ancient paper copy of the Althing, our Baronial newsletter. 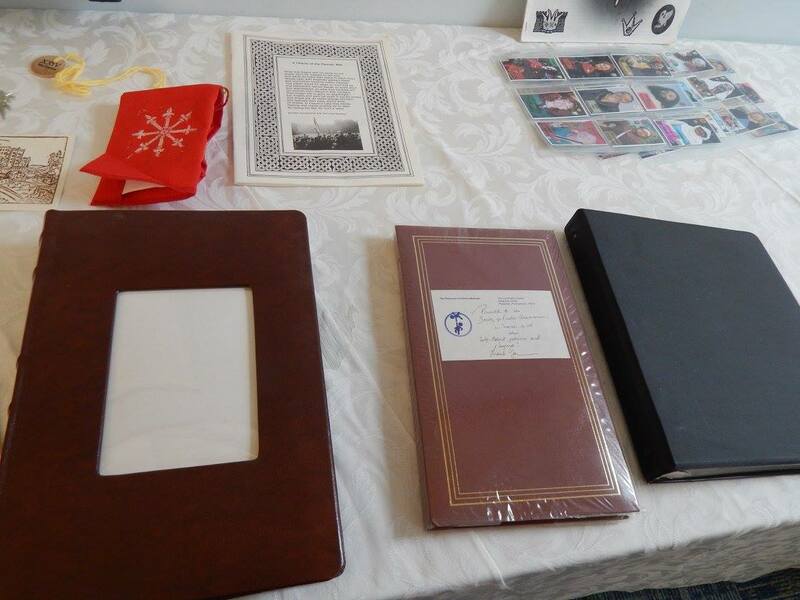 Photo albums and other important documents. 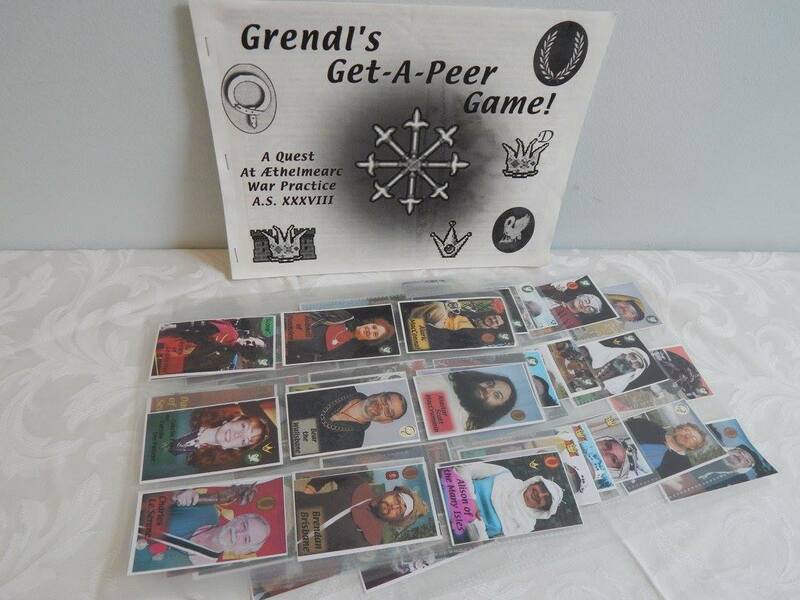 A game, designed by Lady Rufina de Saavedra, for which she created trading cards featuring the Peers who live in the Barony. Please report any errors to the BMDL Web Minister. This page was last revised on October 10, 2017. There have been views.